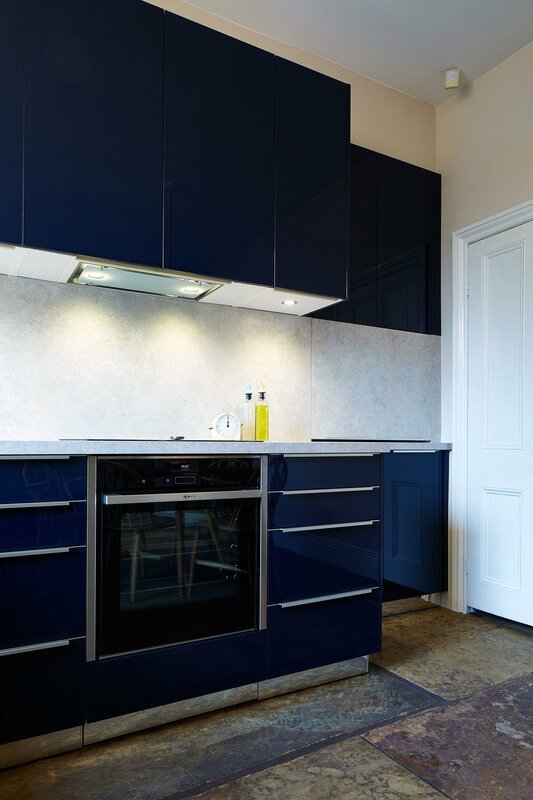 DARK BLUE GLOSS WITH STONE EFFECT WORKTOPS AND SLIMLINE HANDLES. Effective use of awkward spaces which still allows for seamless aesthetic. 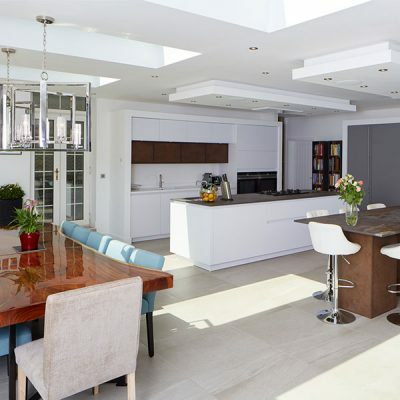 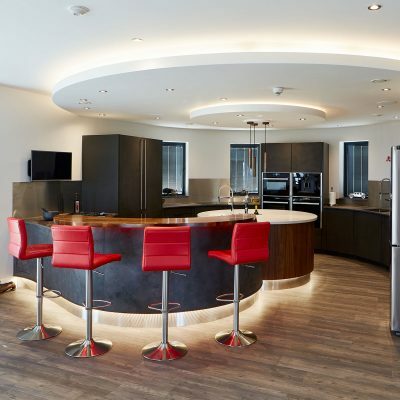 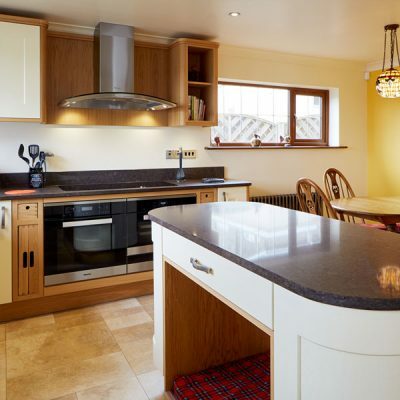 Dark blue furniture and light stone effect worktops create a bold contrast to help kitchen stand out. 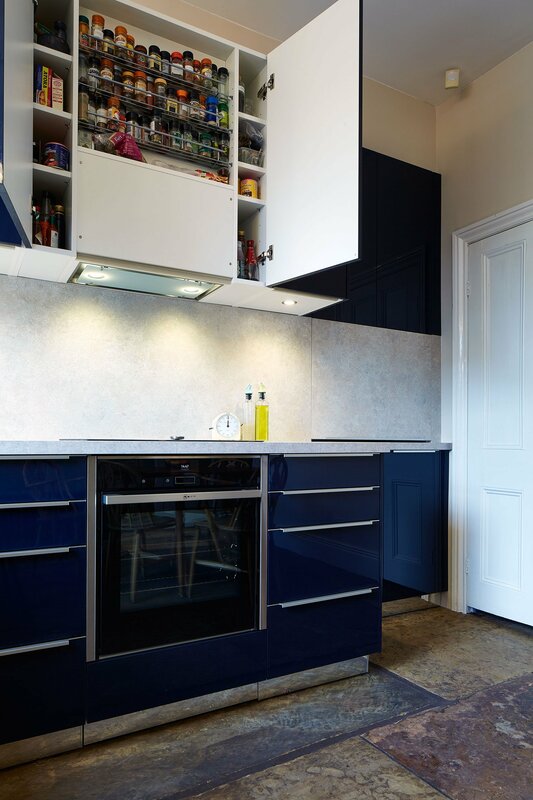 Integrated extractor used to keep wall unit line clean and simple. 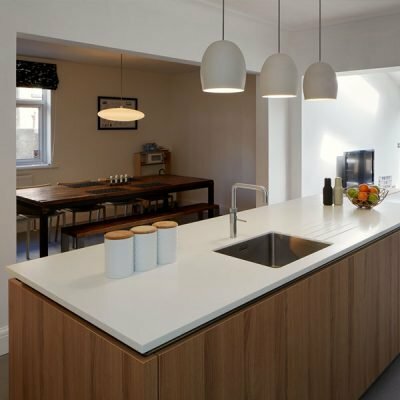 Simple, clever and bold. 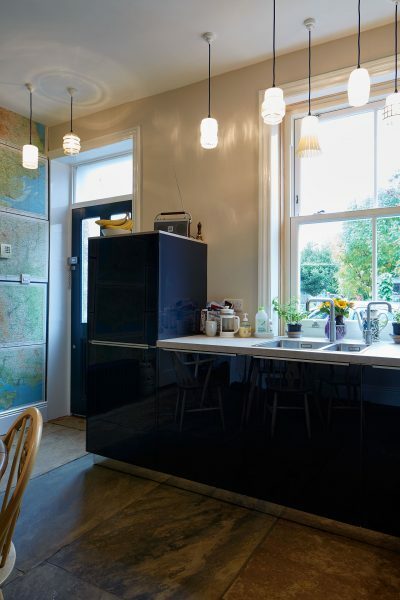 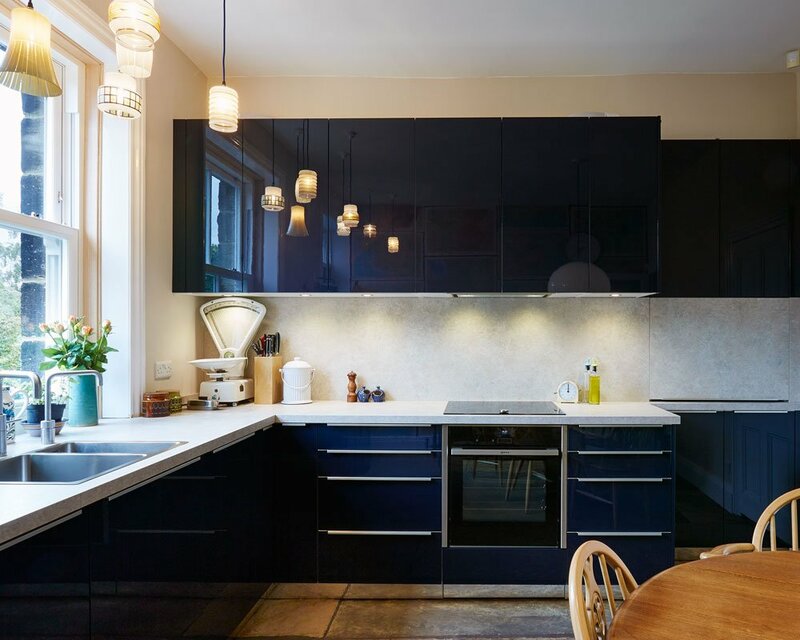 Helen & Jonty’s kitchen showcases not only the joys of Germany’s simple design principles but a great use of colour and space to help highlight this. 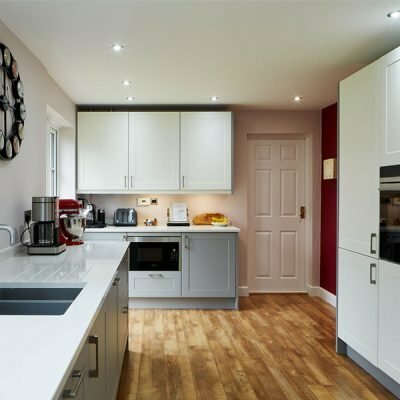 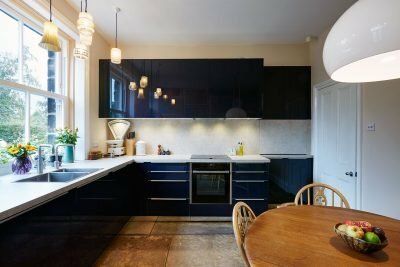 The light stone effect worktops really make the dark blue cabinets stand out and mellow the overall effect from the rich colours in the furniture and flooring. 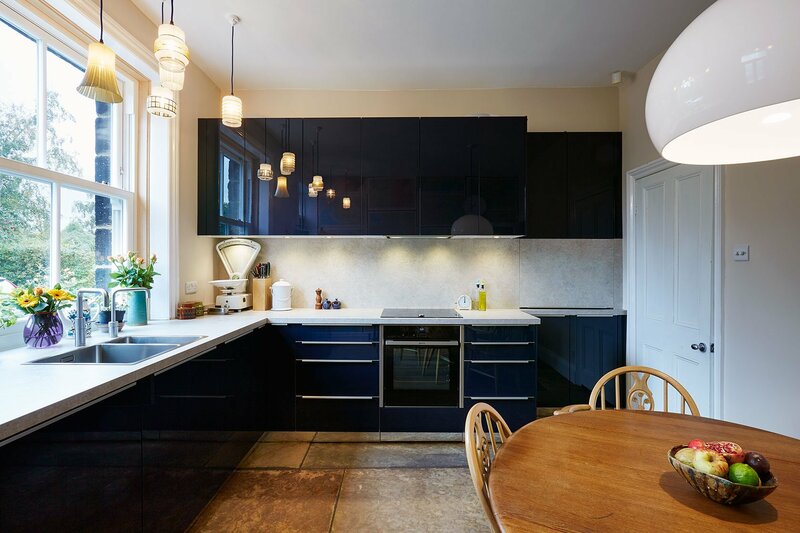 By continuing the horizontal lines presented by the splashback the otherwise awkward alcove in seamlessly incorporated into the design.